After you finish creating your video production, click on Create Disc to open the Create Disc module. Within the Create Disc module you can burn your movie onto a CD, DVD or Blu-ray Disc (Ultra version only), complete with stylish menus, in just a few simple steps. 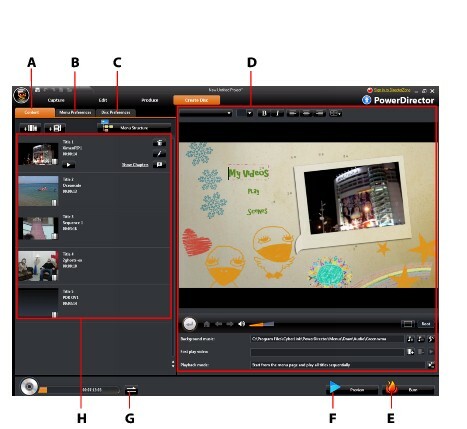 You can also import other videos and CyberLink PowerDirector projects, creating multi-layered a professional looking disc.